Babatunde Olalere Gbadamosi, the Gubernatorial candidate of the Action Democratic Party, ADP in Lagos will “take back” the state from those holding it back and would work to bring “positive” results to all of its residents, a top member of the party in the South West has said. Adelaja Adeoye, ADP Publicity Secretary for Lagos, who noted how well his candidate had done at a debate organised with the support of a popular election monitoring organisation, stated that there was “no match” to Mr Gbadamosi among the choice of people vying for the number position in Lagos State. Prince Adeoye, went on to appeal to the Independent National Electoral Commission, INEC, to ensure that it conducts a free, fair and credible election. While the Presidential election will hold on February 16, the Governorship election is scheduled to hold on March 2. Akinwunmi Ambode, the current Governor and member of the ruling All Progressives Congress was not allowed to run for a second term. 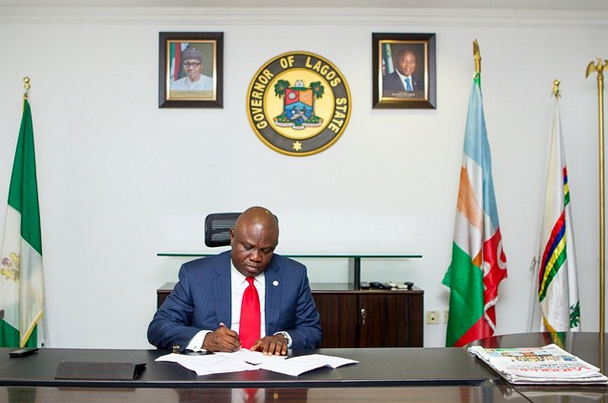 Sources in the state say Governor Ambode stepped on the toes of a chieftain in the party who stood as God-Father to him in 2015. The Godfather had apparently given a directive for a “direct primaries” with the aim that it would prevent Governor Amode’s return. During the primaries held in Lagos, Babajide Sanwo-Olu was declared winner. Mr Sanwo-Olu is expected to retain Lagos for the APC. The comment comes days after the platform held a debate with all the candidates. When it comes to the issues affecting Lagosians such as shortage of housing, and flooding, Mr Gbadamosi, who comes into politics from the private sector, said the debate organised by the Platform, that he has built an estate pretty much in the model of what he wants to build in Lagos state. The ADP candidate argued that “civil servants are disgracefully paid” in Lagos. Mr Gbadamosi promised to look at quickly, so that the civil service in Lagos can be at working at the 21st century. Other issues such as traffic and power supply are also going to be addressed if Mr Gbadamosi is given the opportunity to be the executive governor of Lagos. Commentators quickly took to the view point of Mr Gbadamosi, putting his chances of becoming the fourth democratically elected Governor of the state high. The real estate investor, who said he has provided infrastructure, provided water and power in the last eight years non-stop and has avoided being flooded out despite living in the Lekki-Peninsular, was able to outshine the candidate of the Peoples Democratic Party, Jimi Agbaje, who was expected to be the official opposition in Lagos state. A well known social media influencer, Segun Awosanya, who spearheaded the END SARS campaign, had also decided to vote for Mr Gbadamosi following his performance at the debate. “I’m with Distinguished Babatunde O. Gbadamosi. Let’s prosper Lagos together,” @segalink wrote to his over 200 thousand followers.